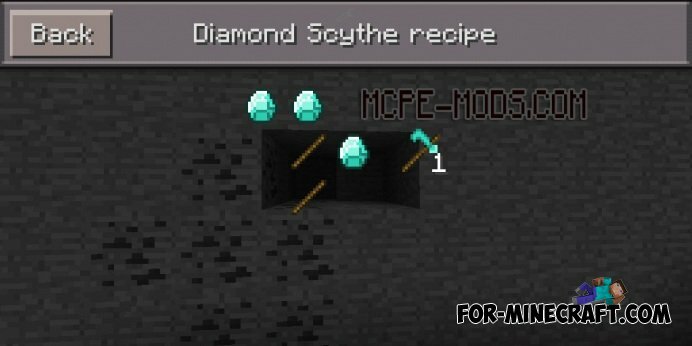 Weapons Extreme Mod adds three new types of weapons in the world of Minecraft Pocket Edition. To this list of weapons includes the following equipment: scythes, katana and fighting axes. Each of the above weapon has its own unique special abilities and weaknesses. 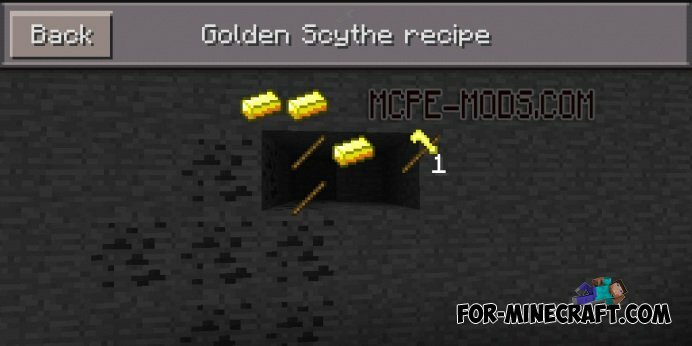 These weapons are more powerful than the standard arsenal of weapons in MCPE. Iron scythe takes 8 damage with each blow. In addition, when you're fighting an iron scythe, then you will be healed for half of the heart after each stroke. 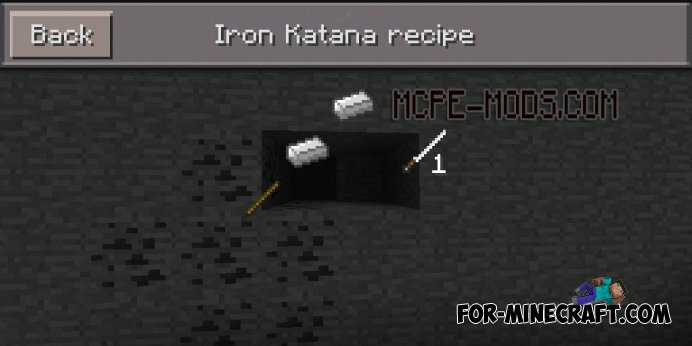 Katana gets very great damage to animals and mobs. 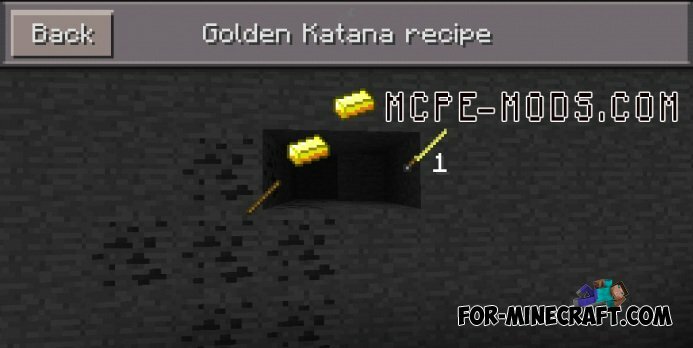 With this sword you become a "real" ninja and you will be power over everything the mobs.